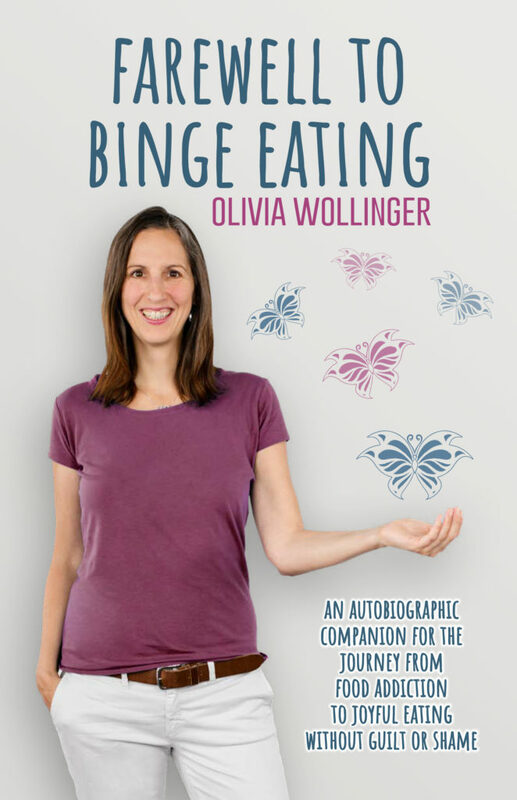 In her autobiographic account, Olivia Wollinger describes the steps she took in order to achieve addiction-free eating behaviors. She generously grants the reader insights into her wealth of experience, sharing successes and failures alike. With great sensitivity, she offers useful information and practical suggestions in order to help others affected by binge eating addiction to find their own way to their “feel-well” weight. For a comprehensive reading preview of the book Farewell to Binge Eating, please click here. This book is available for purchase via the website of Amazon. Copyright © 2019 Farewell to Binge Eating. All Rights Reserved.